This is the fourth in a series of articles focused on helping executives in small- and mid-sized businesses utilize digital technologies effectively to assist in accelerating revenues and profits. If you missed the first three articles, you can find the first here, the second here, and the third here. Three previous articles included an introduction to four major ways digital technologies can help your business and described a spectrum of technologies and a possible implementation roadmap, and associated digital proficiency with enhanced business performance. We also looked at how business process needs and priorities should help guide your digital paths and how to organize your people for success. Many articles on digital transformation start with a discussion of technology platforms. If you’ve read the previous articles in this series, you’ll remember I believe that is the last place to start. Technology platforms are important, but that’s not what I’m focusing on here. They have their unique challenges in selection, onboarding, and implementation. It’s just that these platforms exist only to enable your business. That’s a critical point. This isn’t about technology for technology’s sake. Technology can have a business-changing, transformational impact and add a competitive dimension to your business—but only when it is aligned with what you want to achieve. In this article, I’m going to focus primarily on technologies related to growing your business. 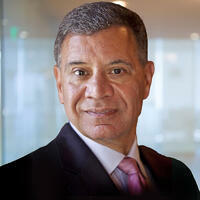 I’m going to discuss customer-facing and marketing technologies as examples. The approach I’ll present works with any technologies you are considering to bring in, though. Years ago, John C. Henderson, an IBM Fellow and current professor emeritus at Boston University, introduced a model for the strategic alignment of business and technology. This powerful model serves to address many issues businesses have relative to their technology investment and results. Too many businesses make investments in technology which do not have the impact and return desired. Henderson set about to understand the “why.” He found that business and technology need to align on both strategic and operational dimensions. He also discovered the “missing piece”—lack of Technology Strategies in many businesses. You can find Henderson’s original paper here. 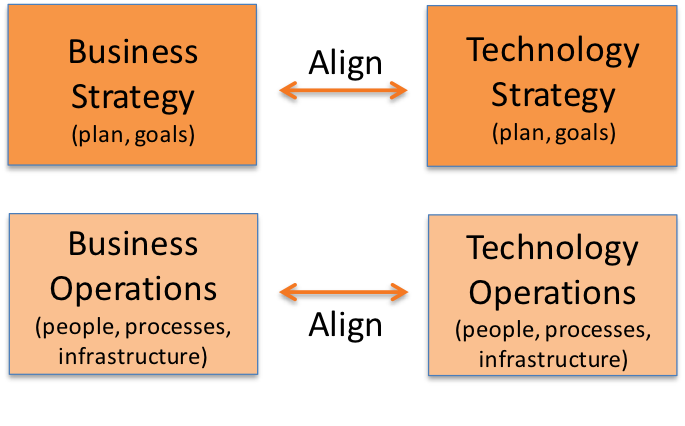 I have abbreviated the strategic alignment of business and technology model for this article to illustrate the challenges small- and mid-sized businesses face with effective use and deployment of digital technologies. Henderson realized that high-performing businesses were also high-performing in their use of technology. Their technology strategy mapped to and directly aligned with their business strategy. Their technology processes directly enabled their business processes. And their technology selection and utilization outperformed their competitors, too. In one corporate role I held, we built a new web-to-print services business by chaining together four off-the-shelf commercially available technologies (desktop design, the Internet, Adobe pre-press, and digital presses). We didn’t invent any of these technologies—but, we were the first to realize a new business opportunity to offer short-run, quick turnaround color printing of personalized promotional materials for small business. Perhaps the last challenge, an “information inequality,” is the least well-known. But think about this: As a business executive, how many times during your career have you purchased back-office ERM/ERP systems or customer facing eCommerce or CRM systems? Maybe a few times? You are up against vendors selling those systems every day. They have the deeper knowledge which you don’t have—creating an immediate disadvantage. Without deep internal technology resources, you may be feeling like you are out doing battle alone. The first action you can take is to start to define your technology strategy. You don’t need to be a technologist to do this--many of the better CIO’s are primarily business execs and to a lesser extent technology execs. Let’s look at what should be covered in your technology strategy. The first step in the process is to define a set of tenets—or operating principles—for technology acquisition and use. Here’s a set of tenets which I’ve used as a starting point for SMB clients looking to acquire a customer relationship management (CRM) application. Tenets keep everyone focused and provide guidance to your technology acquisition efforts. When you need to make a major technology decision, tenets help provide the structure for the options being considered. Architecture is also fundamental to an engaged and effective technology strategy. There are two levels of architecture: business architecture and technical architecture. For this article, let’s focus on business architecture. As a business executive, you are the architect of the business strategy, and that means you also need to be involved in defining the technology strategy. It’s at this point that many SMB execs want to leave the leadership to others. But this is exactly when you need to be the leader, because decisions that will be made have a high impact on your business. The wrong decision about customer-facing technology could destroy your relationships and existing customer relationships. The wrong decision about a marketing automation system might mean the difference between thousands of poorly qualified leads and a smaller number of highly qualified leads. And those are just the impacts on your revenue streams and ability to grow your business. The architecture you select can have a high impact on operating costs, too. One big decision SMBs have to make is to choose between hosted and on-site options. A vendor-hosted or cloud-based system has lower entry costs, but if you look at the ongoing subscription costs over a five-year period, how would those compare with a system you install on-site? And let’s talk about your ability to operate the hardware and software yourself if you choose to install the system on-site. Do you have the internal expertise and technology maturity to do so? These are fundamental decisions that should be a joint decision between business and technology executives and stakeholders. A second big decision SMBs have to make is between a more integrated set of systems, or a best-in-class portfolio of systems. This often happens when someone in the organization wants to use the native CRM that comes with the ERP/ERM system (because you got it “free”), and someone else perceives that there is a better (but less integrated) preferred option. Here’s an example. Let’s say you are using Epicor for your back-office, but the sales and marketing team wants to use HubSpot for the CRM and Marketing application instead of the CRM that is part of the Epicor package. HubSpot is a market leader, but would be less integrated if you used the Epicor CRM. I’ve seen these decisions get very emotional because defining what’s “right for the business” may not have been clearly evident or obvious. Now we are back to the tenets! How do our tenets inform this decision? As a consumer, you are already aware of the plethora of technologies available for use. Think about your smart phone options—within one brand or across brands. Business technologies have more options than personal technologies. Here’s one example. How does anyone sort through 6,000 options? I’ve been both a CMO and a CIO, and I wouldn’t want that task. So, your approach must include finding business associates, friends, and industry experts who can help you. My advice is to find advice from people and organizations who are agnostic to the solutions being considered. Any sales rep from any vendor is going to convince you why theirs is the best option. Get references from people you trust. Look at the product and corporate evaluations from professional organizations like Gartner and Forrester. Winnow your list to two or three vendors, then go deep with each one. And don’t focus on cost alone. It’s business value you are seeking, especially value in helping grow your business. Tenets start to shape your technology strategy by indicating what technology is acceptable, what is not, and the reasons why or why not. Think about tenets as defining the playing field. The three tenets referenced above will, by themselves, dramatically reduce the number of systems or applications you should consider. I would also encourage you to look for a third party (not from your business or from a potential vendor) to help you both evaluate potential technology solutions and to help you negotiate a contract. These people have unique knowledge and skills. Remember the information inequality issue? Now you have balanced the negotiation with additional expertise on your side of the table. I have heard of negotiations where a third party was able to reduce technology license or subscription fees by 50% or more. Wouldn’t that help your bottom line? If you recognize the need for a real, defined, and effective Technology Strategy, you’ve gotten the point. Technology strategy not only helps you use technology more effectively, but it can also help shape and expand your Business Strategy. 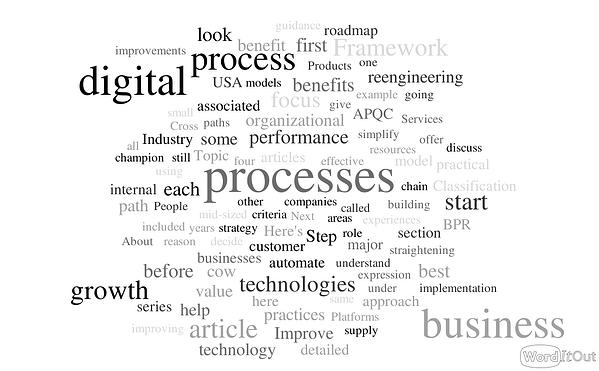 Last up in our series of best practices to implement effective digital engines of growth in your business is an article emphasizing effective adoption of best practices, offer a logical sequence to implementation, and discuss building organizational and program maturity. 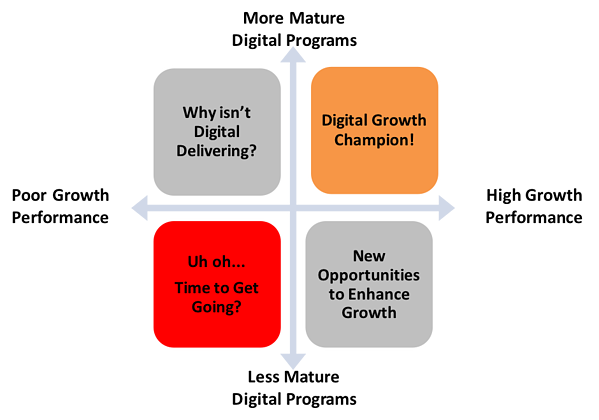 This article will help you understand how to achieve “digital growth champion” status. Please stay tuned for more practical guidance as we bring another set of best practices for implementing engines of growth in your business. Do you have ideas to share? Are there topics you would like me to specifically address? Shoot me an email and I’ll be happy to talk with you.